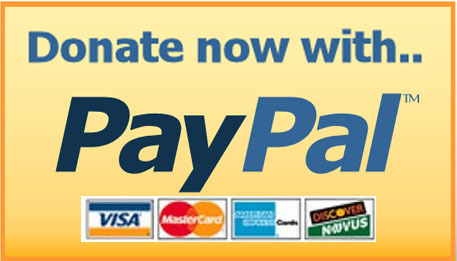 The following is Part Two of this week’s assignment for the League of Extraordinary Bloggers to write about “Comic Books”. You can read more on my early days reading comics and my introduction to Spider-Man over in Part One. After seeing Spider-Man get put through the ringer with The Sin Eater, The Hobgoblin, a Gang War, being shot and buried alive by Kraven the Hunter and then trapped in the Mad Dog Ward, I’d thought I’d seen it all. For sure, Peter Parker would retire or take some time off to actually enjoy married life with his new bride Mary Jane Watson-Parker (she was still hyphenatin’, but then again she also brought home a bigger paycheck…), right? I had already read the entire alien costume saga from Secret Wars all the way through Web of Spider-Man #1, where Peter finally rid himself of the symbiote with the help of loud church bells. This storyline changed the look of Spider-Man (lets face it, black costume Spidey is way cooler, and probably easier to capture on paper for all comic book artists & colorists– not so much for inkers, I’d imagine…). No one suspected that the symbiote would have survived until 17 issues later in Web #18, when a mysterious hand pushes unassuming Peter Parker in front of an oncoming subway train. The shocker of this moment being that somehow, Peter’s spider-sense didn’t warn him of imminent danger. Why I don’t stand near the edge of subway platforms anymore. Web of Spider-Man #18, the first appearance of Eddie Brock/Venom’s… hand. All of this came to a head with the final panels of two issues of Amazing Spider-Man. 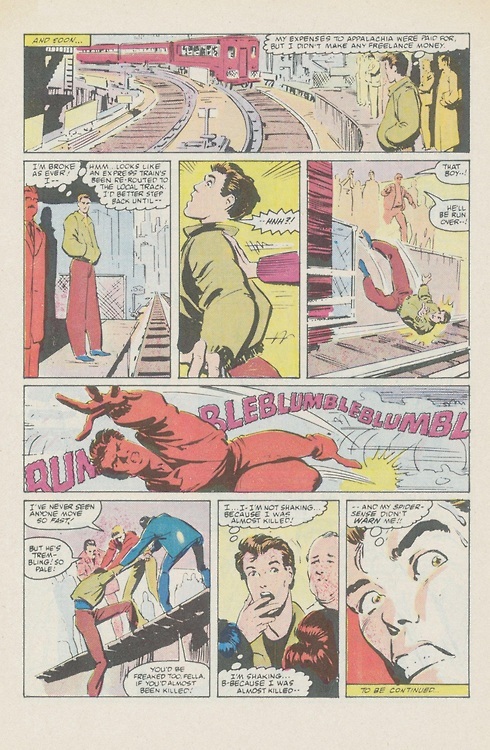 Beginning with issue #298, the book’s art was taken over by new penciler Todd McFarlane, who brought with him a more anime-inspired style of art and basically changed the look of Spider-Man. The poses were even more contorted, with legs haunched over his head while web-swinging. Spidey’s costume had larger eyes. The webs Spidey shot looked more… web-like– lots of squiggly threads drawn in. Much more detailed, much more animated and way hotter women (hello Mary Jane Parker swimsuit calendar! ), McFarlane was a fresh new talent came on just in time for the 300th issue of Amazing. In issues #298 and #299, Spidey faced off against and then teamed up with Chance, a gambling mercenary who uses a high-tech flight suit to pull of jobs. But behind the scenes of “Chance Encounter” waiting in the shadows in the last page of issue #298 is mysterious figure who seems to have the same abilities that the alien costume gave Spider-Man. Venom lurks in the shadows and hints that Spidey is in for a world of trouble. 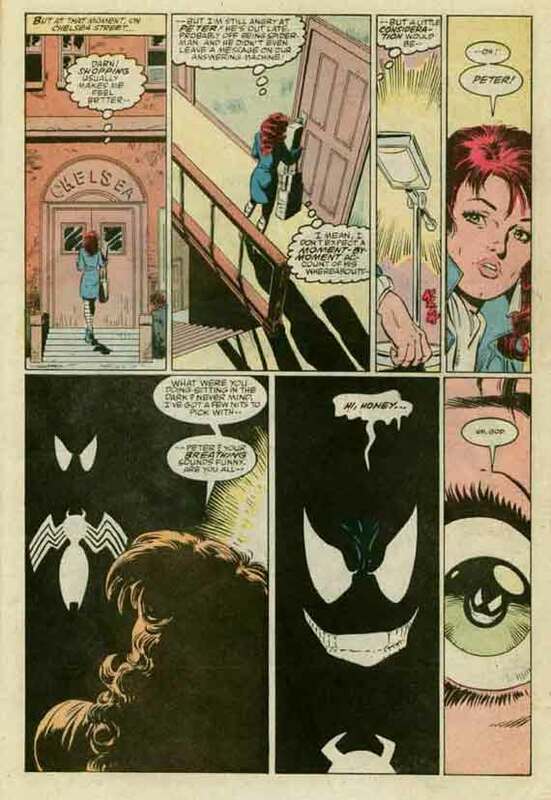 In issue #299 of Amazing, after Spidey completes his team-up with Chance and is en route to his condo, an unsuspecting Mary Jane comes home to find who she thinks is Peter in his black costume standing in the shadows. And oh boy, is she mistaken!! Mary Jane comes home to find.. Venom! “Honey, I’m Home!” – Venom’s first full appearance in comics is a doozy! This all comes to a head in the long awaited, highly anticipated, I needed to get this comic immediately so I asked my Pop to find me a copy the day it was supposed to come out Amazing Spider-Man #300. Peter Parker comes home to find his wife Mary Jane cowering in a corner, frightened out of her mind. After calming her down and taking her to stay with Aunt May, he goes to confront this new villain and finds out the fate of the alien costume as well as its new connection with Eddie Brock, a reporter from a rival newspaper who holds Peter Parker and Spider-Man responsible for his professional and personal downfall. Venom proceeds to flex his muscle, fighting Spider-Man and eventually trapping him within the same church bell tower that Spidey used to rid himself of the symbiote. Of course, Spidey finds a way out of this and eventually defeats Venom, but the damage is done in that Mary Jane can’t bear to look at the black costume due to her traumatic experience, and Spider-Man once again finds himself in red & blue pajamas like old times…. 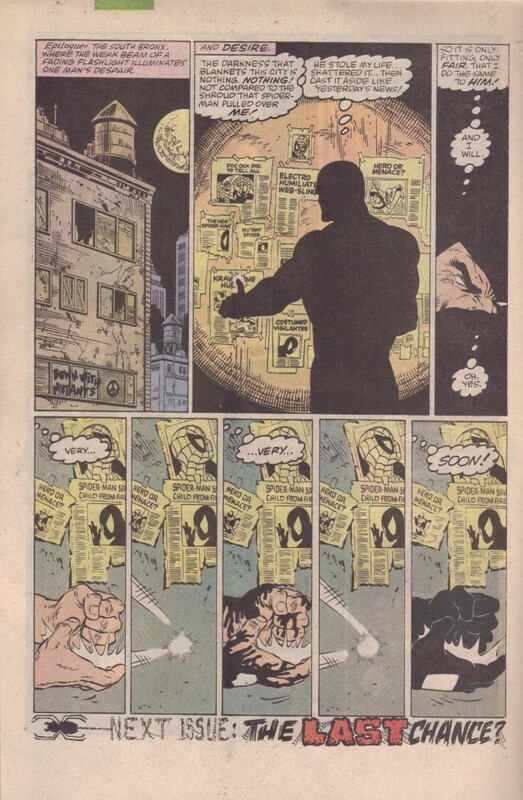 Amazing Spider-Man continues on with more issues penciled by McFarlane, another appearance by Venom and then the art reins are handed over to Erik Larsen. Years later, Larsen gives way to another iconic Spider-Man artist, Mark Bagley, who brings us the debut of Venom’s spawn Carnage. 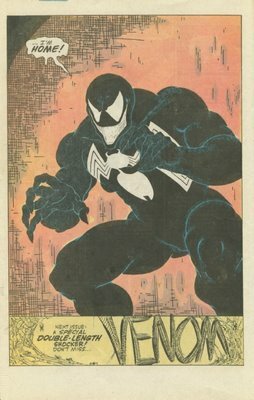 Venom went on to appear in several more Spidey issues, slowly evolving from lethal threat to begrudging ally to anti-hero with his own limited series (under the absolutely lame 90’s moniker “Lethal Protector”). Years later, the symbiote eventually separated from Eddie Brock and found new hosts in Angelo Fortunato, who lasted like two issues, and then Mac Gargan, otherwise known as longtime Spidey villain The Scorpion, who kept the suit all through the Dark Avengers days when Norman Osborn ran government security as the head of H.A.M.M.E.R. (another post for another time). Along with a short-lived Venom series in the early 2000’s under Marvel Tsunami imprint, the costume jumped around a few more hosts until finally getting attached to Peter Parker’s longtime friend and former high school bully, Flash Thompson. Flash had lost his legs while in combat in the army and was selected to host the Venom suit as part of a top-secret military initiative. Eddie Brock developed cancer, had a run-in with Mister Negative and became a modified version of his old symbiote form in Anti-Venom, until later becoming Toxin. Flash/Venom now operates out of Philadelphia and has had his run-ins with Carnage, Toxin (former Venom Eddie Brock now bonded with another symbiote) and several other villains. Phew, that was a mouthful! But enjoy the following gallery of covers and art from the many appearances of Venom, Carnage and the like. That page where Peter gets pushed into the path of the train.. That’s Marc Silvestri art isn’t? I recgonize the mouth on the last panel. Wait Brock is now Toxin? Damn I am so far behind my comics reading.